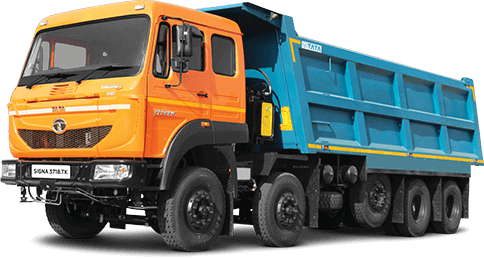 The Tata Signa 3718.TK is a high performance truck that comes loaded with a ISBe 5.9 180 40, BS IV compliant engine. The engine is capable of producing a maximum output of 132.5 Kw @2500 RPM and achieve a torque of 700 Nm @ 1200-1600 RPM. The Integral Hydraulic Power steering makes driving easier. The truck comes with a wheelbase option of 6750 mm and a GVW of 37,000 kg. The huge 260 litre fuel tank ensures one doesn't have to take too many halts. The New Gen Tata G950 DD (FGR 9.36) and pioneering RA 110 LD( RAR 6.14) come together to provide superior traction, load acceleration, good restartability, and optimised fuel economy along with enhanced driving comfort and low maintenance.